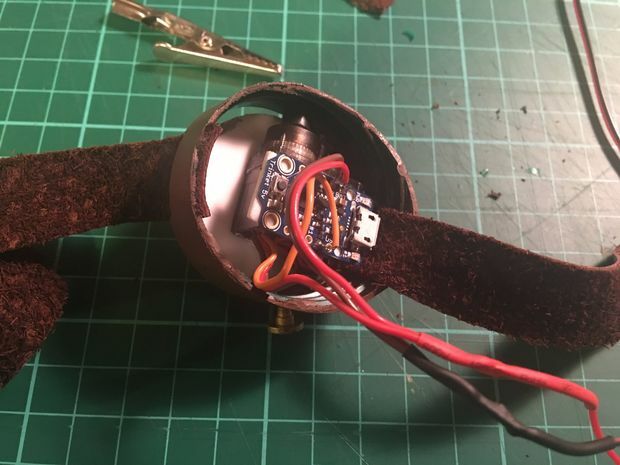 How to Make an Epic Mad-Eye Moody Eyeball #WearableWednesday #wearabletech #Arduino #DIY #HarryPotter « Adafruit Industries – Makers, hackers, artists, designers and engineers! We saw a lot of versions of the creepy DIY eyeball for Halloween, but I’m just loving the small form of this Mad-Eye Moody prop. A big shout-out to @calebkraft for bringing it to my attention on Hackster.io. Harry Potter fans, this one is for you! Maker Daronjay whipped up this little number with some electronics, some upcycled elements and some wizardry. He insists you don’t need an electronics degree to succeed at this project. He used an Adafruit Trinket with a tiny servo to control the glass eyeball, which he purchased online. Daronjay does warn that you need a protective barrier between the leather and your skin to prevent sweat from shorting the circuit. He also mentions that the eye movement is not as believable with only one servo, but to be honest, I think that is what makes this eyeball extra creepy and gives it the lazy look. This is really a great prop project that is easy on the credit card. You can find directions for this build on Instructables and if you want to see the inspiration, check out our learning guide for a 3D Printed Bionic Eye. 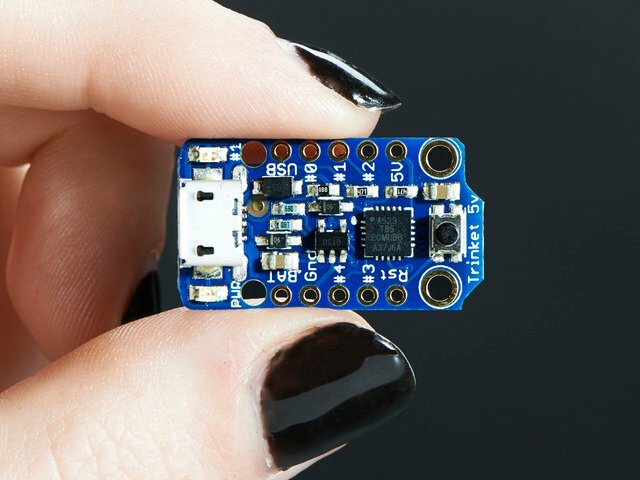 Have you hacked an Adafruit learning guide? Let us know so we can feature your project!